Easy Driver Pro is a truly unique product designed to keep your computer’s hardware up-to-date and running like new. Most software products download and install their own updates, but your hard drive, audio and video cards and other hardware don’t automatically update themselves. When is the last time you went through each individual device on your computer and checked to make sure your drivers were current? Hardware that doesn’t have a current driver may not respond properly to system commands and may stop working altogether. Old drivers put your hardware at risk of malfunction or failure. But who has the time to go through each device and check the driver details? Downloading Easy Driver Pro will solve this problem and save you from taking on this tedious task. 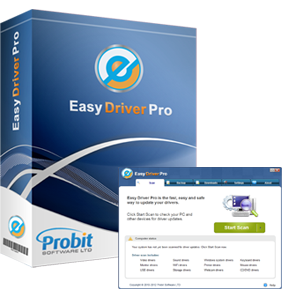 Easy Driver Pro quickly and effectively scans all of the hardware on your computer, gathering information about manufacturer information and driver versions! You can see on one screen which devices need updated! That is definitely a time-saver! Are you having problems with your disk drives? Does the audio on your computer sound funny or do videos constantly freeze up on your screen? Easy Driver Pro may be able to solve your problem in minutes! Visit Easy Driver Pro website!